Kross is an elegant range of products designed and made in Italy. 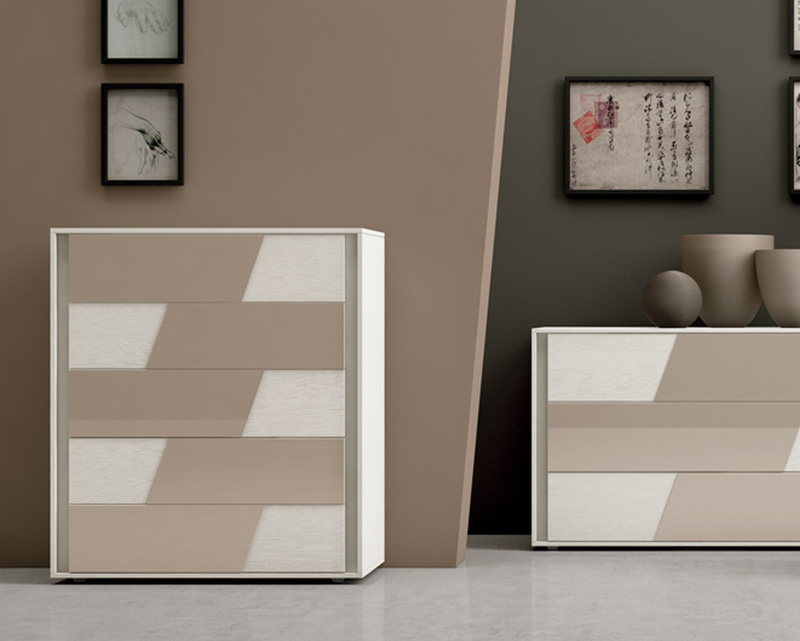 Available in a choice of finishes this 5 drawer tallboy would be a great addition to any bedroom. 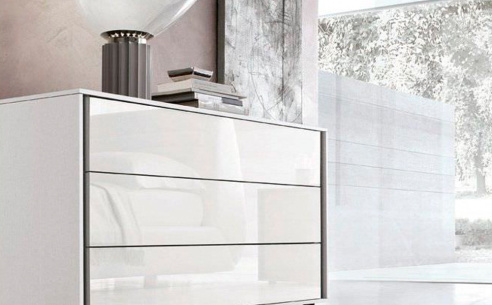 The structure of this product has a matt finish with the front of the drawer is part matt and part gloss. The matt on the door will match the frame, however, you can choose the colour of the gloss lacquered glass.